TIMESJAKARTA, JAKARTA – This is the 5th time Bali participated in Good France event since their first event on 2015. 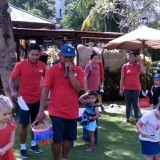 This time Moringa Eat and Greet Jalan Dewi Sri No 9a, Legian, Kuta became the host of Good France 2019. There will be 7 restaurants which participated in this event. Riverside at Four Seasons Sayan, Cucina at SOFITEL Nusa Dua Bali, Maison Aurelia, Capris at The Royal Beach Seminyak, Mozaic Restaurant, Teatro Gastroteque, and Moringa Eat and Greet. Chris Salans Chef of Mozaic Restaurant said that they bought the black truffles them self from France for this special occasion. "We gonna present black diamond in Périgord black truffle on the 5 set menus accompanied with the Premier Cru dan Grand Cru France wine," Chris Salans, Mozaic Restaurant chef said. Meanwhile, Chef Gilbert Daine from SOFITEL Bali Nusa Dua Beach Resort and Cucina will present a marvelous authentic menu from France. Teatro Gastroteque will cooperate with Moringa Eat and Greet and send Chef Mandif Warokka and team to present their France menus. Riverside at Four Seasons Sayan will also send their chef Jean Philippe Guiard which surely has already had enormous experience in France culinary. Where as Maison Aurelia which participate for the first time at the event will take their chef Putu Luh Rita Usiani to present their Europe-Mediteranian menus. Last but not least Capris at The Royal Beach Seminyak will take Chef I Gede Sujana to the Good France 2019. 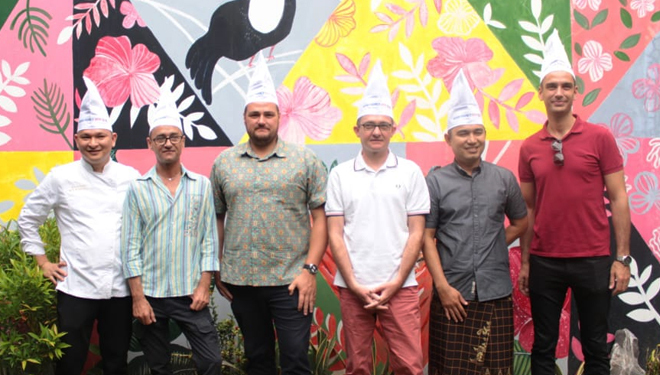 You could see the restaurant profile, the chef and also the menus pictures of the restaurants which participate in the Good France 2019 Bali onthis link below.